Durban - Springbok and Sharks scrumhalf Cobus Reinach hopes to build on his dream 2014 season ahead of the Rugby World Cup later this year. Reinach was one of the standout performers on the South African scene last season, playing an influential role for the Sharks as they made the Super Rugby playoffs. 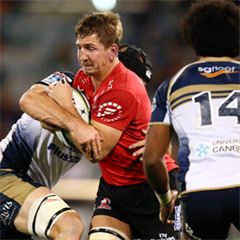 He did enough to impress the national selectors and received his first Springbok call-up, making his Test debut off the bench against the Wallabies at Cape Town. It was an emotional occasion for the 25-year-old as Newlands happened to be the same ground where his late father, Jaco Reinach, made his Test debut against the New Zealand Cavaliers in May 1986. Reinach went on to secure the No 9 jersey during the year-end tour to Europe in November, and played six Tests for South Africa, scoring two tries. He hopes to take this momentum into 2015 for the Sharks and Springboks. 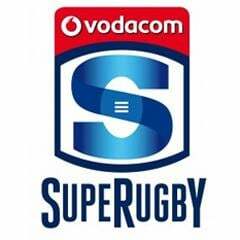 “From a Sharks perspective, we haven’t started the Super Rugby season in the way we wanted to,” Reinach told MyPlayers.co.za. “However, as a team, we’re still confident on achieving success. “Going forward, I hope to make a valuable contribution. I’m surrounded by talented players, who have all contributed to my development during my time in the senior squad over the past few years. Reinach added that he wants to prove his worth ahead of the World Cup in England in September.